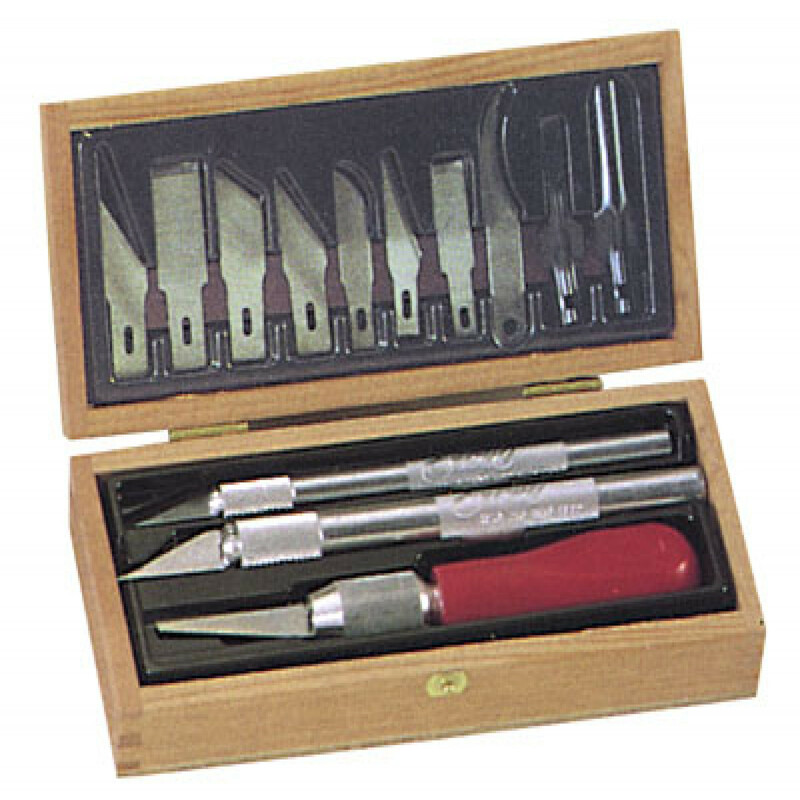 Set includes straight, angle and U-shaped chisels. 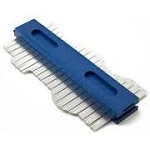 Tempered steel cutting blades are 1/4" wide. 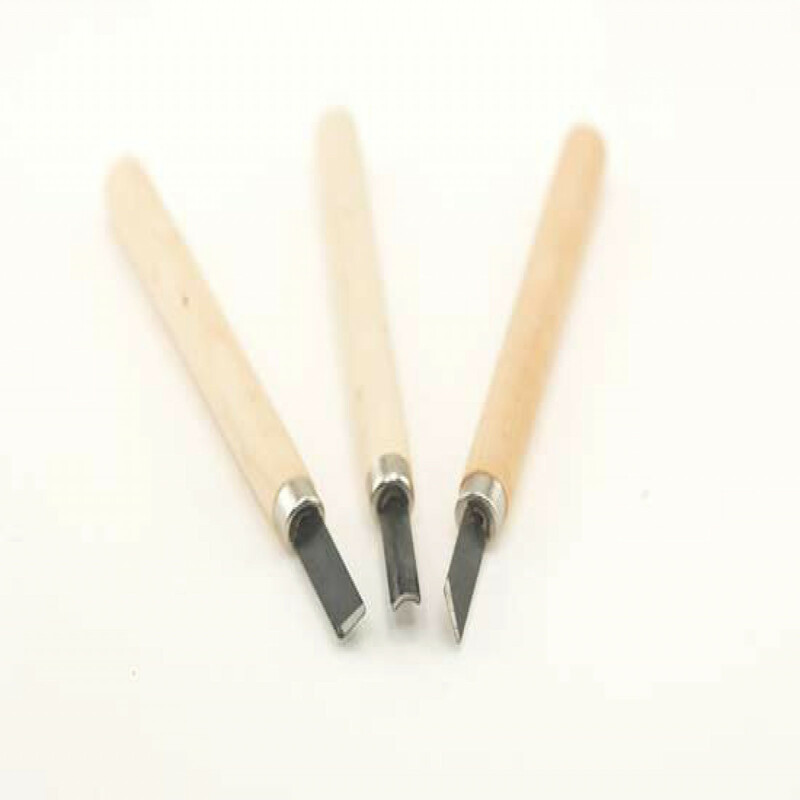 All have smooth wooden handles. Overall length 5-1/4".